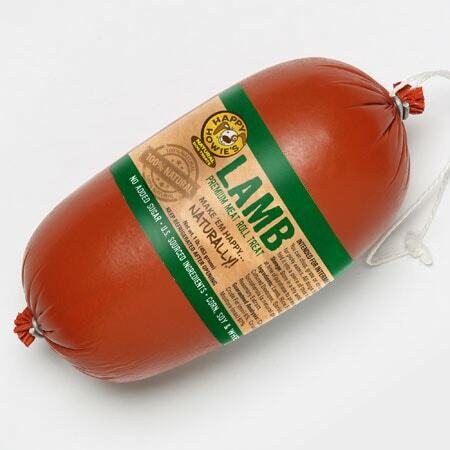 1-lb LAMB ROLL – The preferred training treat of expert dog trainers throughout the country. Short on ingredients and large on flavor, these rolls make training easier and more fun. You can also use these rolls as a food topper or to hide a pill. 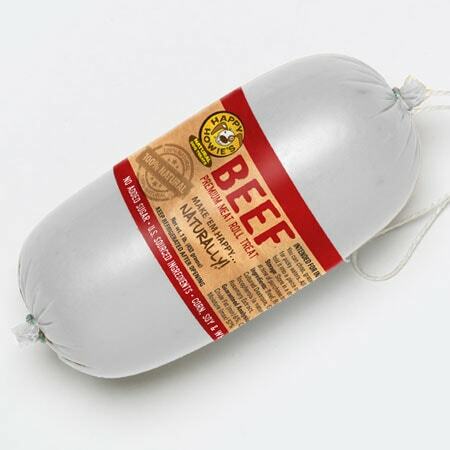 1-lb LAMB ROLL – Happy Howie’s Premium Lamb Rolls are love at first bite! Our rolls are the only high-value training treat with fewer ingredients that doesn’t crumble in your hands. 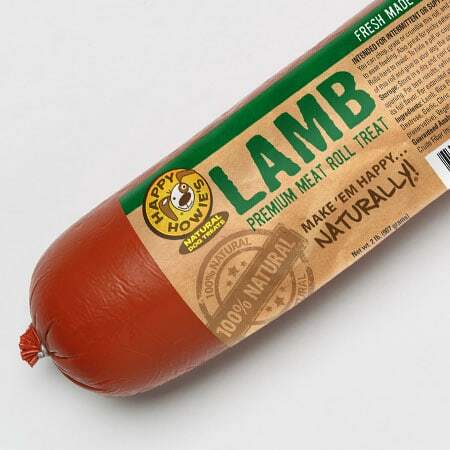 Made in the USA with all-natural lamb, these rolls cut up easily into smaller pieces that are an excellent way to hide pills, use as a food topper or simply to reward your dog! Find out why our deli-style Premium Lamb Rolls are the training treat preferred by expert dog trainers throughout the country. Ingredients: Lamb, Rice Flour, Sodium Lactate, Dried Cultured Skim Milk, Salt, Garlic, Mixed Tocopherols (a natural preservative), Vegetable Oil, Rosemary Extract. Made in the USA! 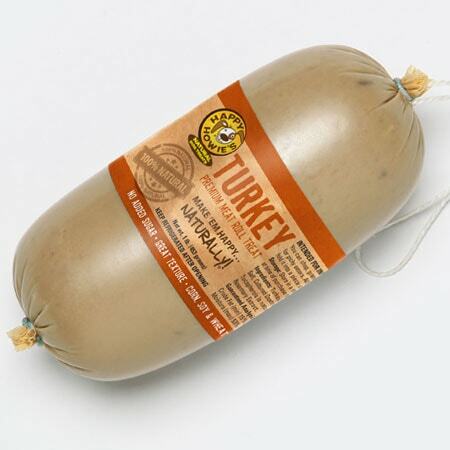 For calorie content please click here. I have a maltipoo puppy and 10 yr old dog. It’s hard finding treats that they both live as one has allergies. 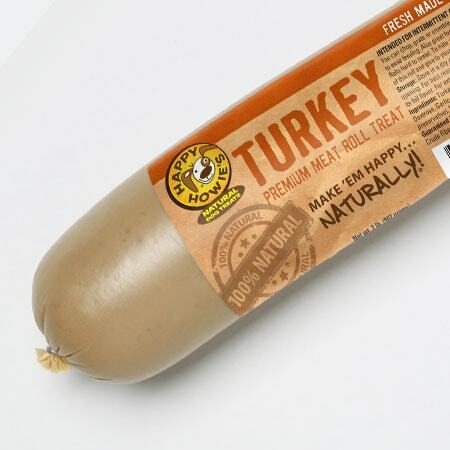 What’s great about these rolls is you can cut the roll to size and make both pupsters happy! I love that they have no wheat, corn, or soy. When you chop them up into small training morsels they don’t fall apart. These are wonderful for high reward training treats. My two pupsters are always excited for these! 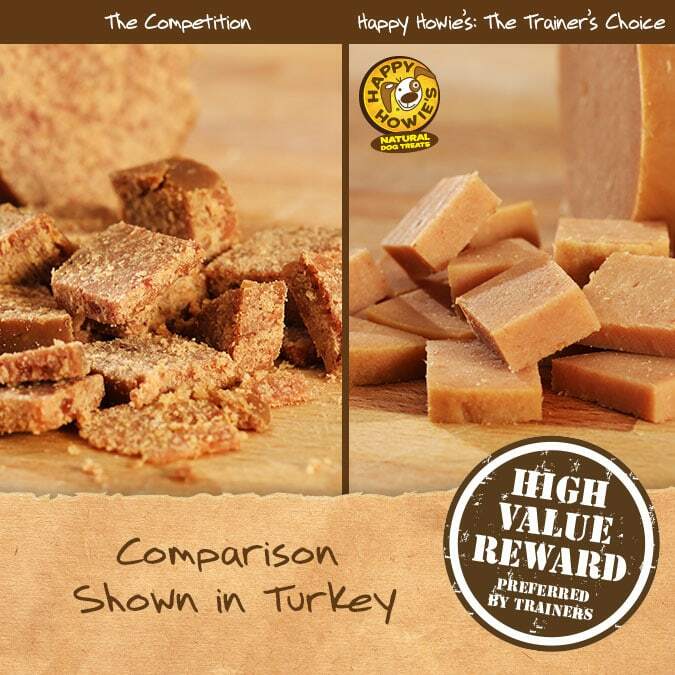 We first tried these high value treats during puppy class as recommended by the trainer, turns out, a little over a year later, my boy will still go to great lengths to earn his Howie! I keep a bag of them cut up into small pieces to reward desired behavior wherever we go. Everyone is happy!